To empower our endangered youth to restore the Anacostia River, their communities and their lives. 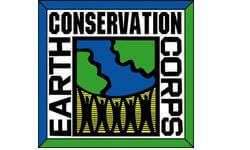 The ECC works with the youth of Washington, DC to provide professional development skills and work on environmental issues plaguing the Anacostia river and its surrounding areas. Currently we are working on restoring the wetlands along Diamond Teague Park, managing a DOEE Trash Trap and increasing awareness of raptor conservation efforts through our Birds of Prey outreach programs. Through our Corps and Educational workshops the ECC reaches thousands of students in the DC metropolitan region every year. We engage and encourage the community to think about the issues in their watershed by conducting workshops and meetings with partner organizations.